Summers is a Lawyer by profession and a Chartered Insurer. She was called to the Ghana Bar in October, 2010. She holds a Bachelor of laws Degree (LLB) from the Kwame Nkrumah University of Science and Technology (KNUST) and Qualifying Certificate in Law from the Ghana School of Law. Summers joined Star Assurance in January, 2012 after she had worked with Minkah Premo and Co. one of the top law firms in the country. She is currently the Head of Legal as well as Company Secretary. Her expertise covers areas of corporate law, insurance law, banking law, due diligence, labour and employment law, land law and legal writing among others. 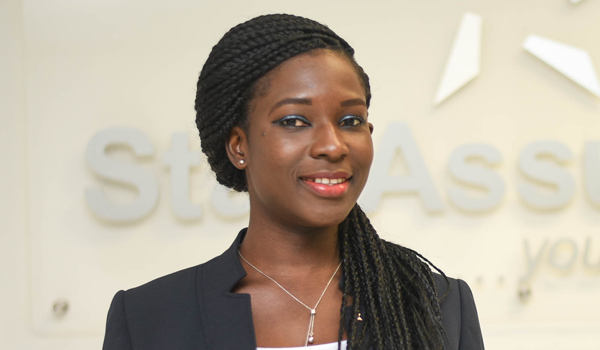 She is a member of the Ghana Bar Association and the Institute of Chartered Insurers (ICII) – UK.